I’d like to introduce you to the forty-sixth interviewee in my ‘Meet the Author’ series. She is Elizabeth Lyon. This is one of those interviews that I had trouble deciding whether to include it in the series or call it a BONUS interview. I think it’s both. Hi, Elizabeth! Welcome to Susan Finlay Writes blog site. You are an author, editor, and public speaker, and you own Elizabeth Lyon: Editing International, a professional editing service. Can you tell us more about your background? How did you become an author and editor? I tell myself I was born to write—so write. I was crafting instructional booklets, newsletters, poetry chapbooks, novels, novels, memoirs, and nonfiction books since teen years. Keeping journals from age 11. I was learning how to write. I self-published a first book in 1980, a biography of the midwife from Ghana who delivered my two children. That gave me the publishing bug. In 1988, my friend died and designated me as heir to his editing business, community college Adult-Ed writing classes, and critique groups. It was a fit. Teaching writing led to discoveries of holes in the literature, which in turn led to publication with a small press of my first two books on writing: Nonfiction Book Proposals Anybody Can Write, and, The Sell Your Novel Tool Kit. In 2001, I got a 4-book contract from Perigee/Penguin and subsequently wrote more books, including my last book with them, Manuscript Makeover. Becoming an editor was a matter of taking a latent talent and over time learning by doing. I had no formal training or schooling (I have a Masters in counseling). I studied books, took workshops, ran 3 critique groups for 13 years, and edited books. I was mentored by one agent, Natasha Kern, for several years. Teaching, editing, studying, reading, and writing about writing all inform each other. Add over 20 years and voila! An interesting tidbit I read about you said that you went on a trip to New York in 2001 to drop off a stack of books to your literary agent, Meredith Bernstein, and returned on a United Airlines flight departing from La Guardia on 9/11, thirty minutes before the first World Trade Center tower was hit. What went through your mind when you heard about the tragedy and realized how close you were to it? Our captain announced that he’d just learned that all planes must land and, being a half hour out from New York, we were going to land in O’Hare, and that he didn’t know more than this information. My first thought was that there must have been a hijacking, but that didn’t make sense; why would all planes be grounded? Then I thought of nuclear war. My 17-year-old daughter Elaine had flown to NY for her first time there. I looked at her. We were both crying. She told me that when we’d left La Guardia, she’d looked out the window at Manhattan and thought, ‘I wish I could stay here’, and then had the thought of a plane crashing into a skyscraper. My first instinct was to call home—on airplane phone. When we landed in La Guardia, my first instinct was to send Elaine to buy sandwiches. Fear and survival. Four days later, we found a rental car and drove it 2000 miles home to Oregon. Your company provides services such as Substantive and Line Editing, Critical Read-throughs, Consulting and Marketing Assistance, and Evaluations. Can you tell us more? My forté is substantive editing, which is analysis of all of the elements of craft (fiction or nonfiction) for structure, characterization or narrator development, description, setting, dialogue, imagery, theme, and so forth. I write lots of comments in margins, make suggestions for wording, note what is being done well, and write long evaluations that discuss what to do in revision, discuss possibilities, instruct, and sometimes model writing techniques using excerpts from the writing. I prefer to begin work on the first 100 pages plus a synopsis rather than edit a whole novel, memoir, or nonfiction book. The writer can run with the critique and suggestions and apply them to the whole book, after which we talk about what is next. Line editing, meaning correction of spelling, punctuation, grammar, and formatting, is something I can’t help doing while I’m editing a manuscript. It’s programmed into my right hand. I don’t enjoy final line editing or copyediting prior to publication, although occasionally I do have those jobs. Publishing is a complex and in many ways crazy industry. I offer phone or e-mail consultations about writing and marketing. I have divvied up the marketing process into Plan A, Plan B, Plan C, and so forth. These days, a lot of consulting is providing answers and direction for self-publishing and promoting e-books and print-on-demand (POD) books. Can you tell us a bit about the author/editor relationship? What do you like best about editing other authors’ work? One of my long-time editing clients, who got his first two novels published, signs his e-mails to me “Cubby,” as in Mama Lyon and her cubs. While I don’t necessarily like this caricature, I do see my role as nurturing, teaching, and correcting. But the relationship often involves a creative conversation full of brainstorming, problem solving, and epiphanies. As an editor (who is also a writer), I “listen” to the presence of the writer, to be in sync. Editing is not all about correcting mistakes and touting rules. It is, or I think should be, intuitive and creative, an emotional and intellectual—at times spiritual—interaction with a writer/creator. Editing for me is immersion into another person’s creativity and self. I feel a bond with nearly all of my editing clients, and many have become life friends. How do you feel about the “rules” of contemporary writing: no adverbs, limited dialogue tags, show don’t tell, no head-hopping, etc.? In your opinion, how important are they to writing? Are there any that you particularly adhere to? Societal expectations about style and craft certainly change over time. Right now, movies are the most shaping of expectations about stories, and caffeine and texting influence the pace of storytelling, to a great degree in genre fiction. 1)	Use adverbs where they are needed and to enhance the writing and not where they are an excuse for an inadequate noun. 2)	Use dialogue tags for clarity; otherwise, trust your reader to understand who’s speaking. 4)	What you call “head hopping” diminishes the impact of most scenes because of reduced character development—intention, backstory, psychological needs—when the stage must be shared by two or more characters. Omniscient point of view, i.e., head hopping, creates distance between the reader and the characters, and is often accompanied by an absence of goal-directed scene structure and a deficiency in sensory richness. Other than these opinions, I don’t feel strongly about rules (LOL). Your most recent publication is an e-booklet, Writing Subtext, which is available through Amazon.com. Can you tell us about the booklet and the upcoming series? My friend, Carolyn J. Rose, who has had tremendous success with self-publishing a dozen novels as e-books and POD books, recommended that I write this booklet series, expanding upon one technique at a time. She also told me that she’d like more clarification about subtext. This subject was such a vexation to write about that she will be feeling the consequence for 12 times 12 generations. Good thing she didn’t have children. Subtext is an elusive concept for many writers, although we experience it nearly all the time in everyday life—the innuendo, a gesture or tone of voice, saying one thing and doing another. When writing, we can get so consumed with juggling the usual balls—action, plot, dialogue, description, narration, chapter beginnings and endings—that it’s all but impossible to think consciously about subtext. Revising is the time to layer in what a character is really thinking or feeling, what in the environment of the story is impacting characters and plot, whether they know it or not. Ultimately, subtext connects characters with plot and theme. When I read and edit a story that has almost no subtext, which is typically true of early drafts, it’s like looking for the picture on a page full of dots. The writer’s job is to connect the dots or give the reader the clues to connect the dots and see the intended picture. I believe the next book in the series will be Writing Hooks. If I could snap my fingers, there would be an instant series of, say, a dozen such booklets. You’ve written three informative books (I’ve read them all) about the art of fiction writing: Manuscript Makeover, The Sell Your Novel Tool Kit, and A Writer’s Guide to Fiction. Can you tell us a bit about each book? I wrote them in a mixed-up order—marketing then the bones of craft, and then revision. A Writer’s Guide to Fiction lays out each element of fiction craft, supplies examples and how-to instructions. It covers the territory from whole book structure, to character development, to style and genre, to thematic unity. Manuscript Makeover was my attempt to supply everything I’ve encountered in editing novels over the last 20+ years. The structure of this book is to identify the element of craft, give an excerpt from a published novel to illustrate it, name the problems that are most common—how we goof it up, and then to explain how to fix it, i.e., how to write well. I was extremely pleased that this book was described as “perhaps the most comprehensive book on revising fiction” by a reviewer for The Writer magazine. In The Sell Your Novel Tool Kit is I deconstruct the anatomy of query letters and synopses and supply dozens of variations that have worked, or not worked. This is a book filled with models and analysis of query letters. In the last third, I discuss strategies for finding a literary agent and how to handle various marketing dilemmas. You’ve also written two books about nonfiction writing–Nonfiction Book Proposals Anybody Can Write, A Writer’s Guide to Nonfiction—and the National Directory of Editors & Writers. Can you tell us a bit about each book? The directory, a compilation of profiles of 520 freelance editors and writers living in 48 states saw an early death. Shortly after publication, my publisher (M. Evans & Co.) was bought out by a larger fish and the directory ended up on a heap in the warehouse. I was headed to a back surgery and didn’t work at promotion. It always needed to be an online directory for updating, but in 2008, the publisher’s decision was not to diminish possible sales of the printed copies. My proposal book is my bestseller, in print with updated revisions since 1995. I still get fan mail and authors telling me that the book helped them get a book contract. I think it has sold something like 30,000 copies. An engineer once wrote to me and asked if I was an engineer. He said the book had the kind of clear breakdown and flow of an engineering chart. Whatever that is. A Writer’s Guide to Nonfiction has been used in college journalism classes and is a primer on the different types of nonfiction—how-to, memoir, opinion, self-help, information and so forth—and how each one is structured. What I’ve tried to do in all of my writing books is have a good time. What I mean by that is I include humor, personal stories, and, well, subtext. The worst thing someone could say is that one of my books reminded them of a textbook—or even worse, like a Chamber of Commerce brochure, or worst of all, like a government pamphlet. You also speak at writers conferences. Your next is in October, 2013. What will you speak about at that conference and where will it be held? Do you have any interesting experiences you’d like to tell us about? I’ve turned down a number of invitations to speak at conferences this year because my father’s health is fragile, even though he is only 92. I am presenting a workshop and class at Write on the Sound, in Edmonds, Washington. At the conference in October, I’ll teach a half-day workshop on “Giving Your Writing Character.” This is a dynamic and dramatic, class collaborative creation of every facet of a scene, by making every detail originate with the protagonist. Interesting experiences? Telling would be a breech of confidentiality—and boy do I wish I could tell these stories! A personal positive experience was giving a lunch keynote address in 2012 to a packed room of maybe 500, and not hearing clinking of glasses, little conversations, or seeing people rushing for the exit. I finally nailed a major speech. And I gave a terrible speech once because I relied upon notes and a big shadow came over the podium when someone turned off the wrong stage light. Uh-oh. The most colorful stories involve writers with mental illness and/or addiction problems. Wish I could share them! Seriously, I think that the incidence of these kind of problems is higher among all artists than the general population. What makes our lives difficult may also be channeled into incredible creativity. Because I struggle with a laundry list of problems myself, as an editor I do my best to help writers complete their books, turn self-criticism into productive revisions, and celebrate every step and stage in this long process. What are some of the biggest mistakes that writers make? What will cause a fast rejection? Expect to be on Oprah. Expect the first thing/book they’ve written will get published. Underestimate how long it takes to write a book and how much time it takes to revise it. Write in a vacuum—without input from a critique group or astute readers. Avoid writing classes or books on how to write. Of course, quit writing or quit marketing. A fast rejection will come from an incomplete query or a query that is too long; from generalities or vagueness; from typos, a blow-by-blow of the plot, or absence of a character motivation or individuality; from using font size 10 or 14; and from cliches or a rehash of a story in the news or a made-for-TV movie. Those are a few reasons. Be humble. Be patient. Writing a lot of different stories or books will help build skill faster than working on a single, first story for years. Learn and do everything that successful writers have done, the most important of which is to write often. Don’t get fixated on publication. Cultivate your imagination and refine your skill, and enjoy writing. Read and then model the techniques you find in books by favorite authors. Imitation is a great way to learn. If you could meet any book character, who would it be, and what would you do with them? Oh my. Not going to play. There are too many characters over too many genres, and some of them haven’t yet been published. Please list any websites or social media links for yourself or your company. Thanks! What a lovely and learned guest. Elizabeth Lyon is an especially sensitive editor and teacher of the craft. I loved her book, “The Writer’s Guide to Fiction.” A must-have for any one pursuing a career in the publishing industry. Thank you, Susan. Great to “see” you. Wonderful interviews, such a fascinating person and life. Elizabeth thanks for such an entertaining and informative read. I too can recall where I was on 9/11 – in the ‘house’ of a very poor Muslim family in Malaya, having something to eat and drink and sitting in their one and only chair as guest of honour…..a humbling experience and so different to that of New York and The Pentagon that day. Many thanks for sharing your career and your work with us. Another winner Susan. Jane–have you written an essay about your experience that day? It would be such a different, vastly important perspective. I think Muslims are getting beat up in our formal and informal media. You could add so much by sharing. Elizabeth I have not yet, though I have mentioned it a few times in various things I’ve written and I agree, they are all getting tarred with the same brush and that is unfair. After-all Christians and other denominations also commit atrocities and we don’t call them Christian terrorists/killers or whatever. I may well write about it on my blog at some point and I will let you know (if and when) if you are interested. Let me know. I must look out the photos we had taken with them in what was a shack in the dust, with a sad excuse for a chicken running around…yet they were so hospitable and kind and generous to us. It was indeed a humbling experience. Thanks for your reply Elizabeth, appreciated. Do let’s keep in touch. Elizabeth, I’m so glad I “nagged” you to write this book. Looking forward to the next one. publishers, free lance editors and the books they write are more useful to writers than ever before. Testimonials from other author “helpers” judiciously chosen, but not taking space away from the writers of recent novels, would seem welcome. read your column. Ms. Lyon has struck a high note, a model for other such interviews to come. Susan, while I was away from my computer, your photographs and photographic essays came through. Wow! A woman of many trades! Thanks, Ann! I was thrilled to interview Ms. Lyon. I had read her books on writing, and loved them. I’m always looking for interesting people to interview, especially experts on publishing, editing, marketing, etc. I hope to get some more people lined-up for interviews soon. I’m glad you like my photos, too. I love photography. As they say, ‘a picture paints a thousand words’. 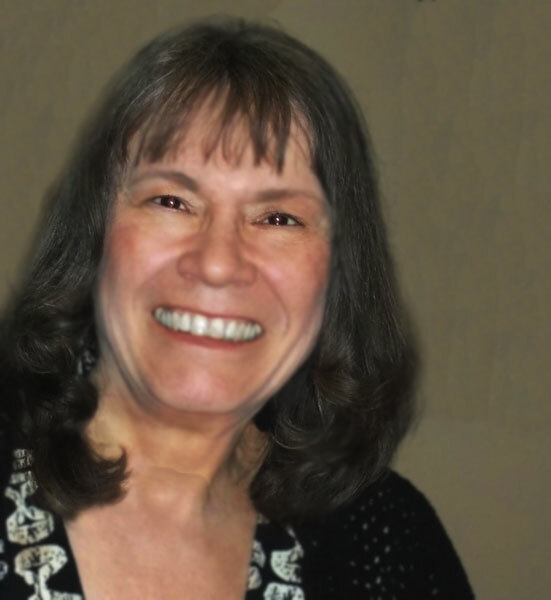 Leave a reply on "Meet the Author: Elizabeth Lyon"